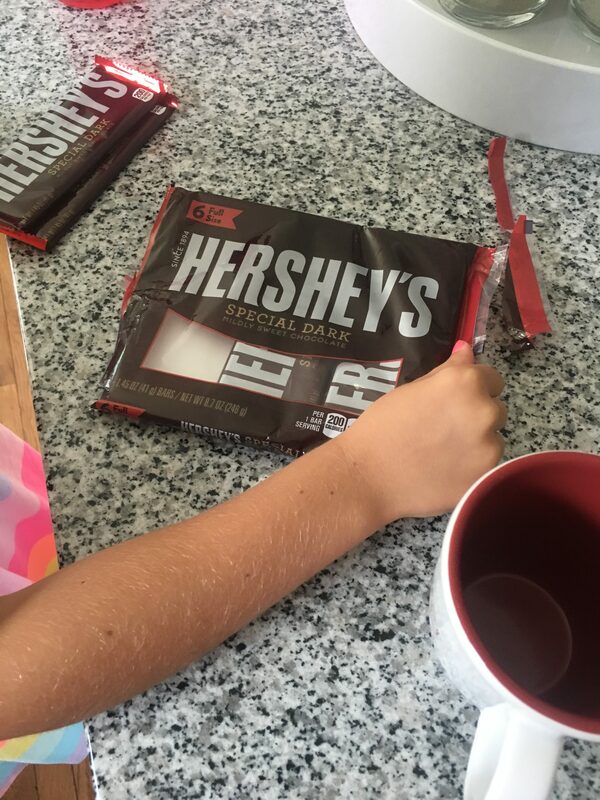 My daughter was watching kids YouTube about frozen healthy treats, and we decided to try this one. 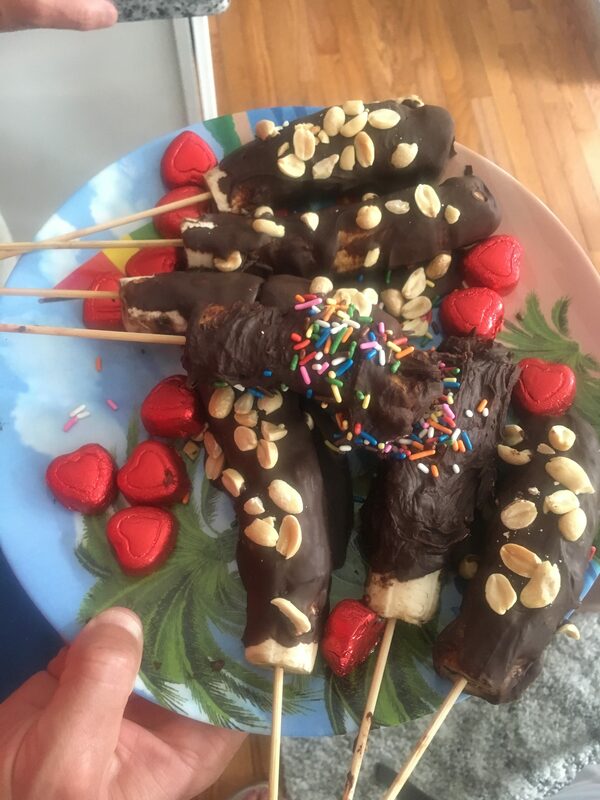 All you need is bananas, dark chocolate, peanuts, sprinkles, wooden sticks, wax paper, and a freezer. If you use dark chocolate, it’s heart healthy! 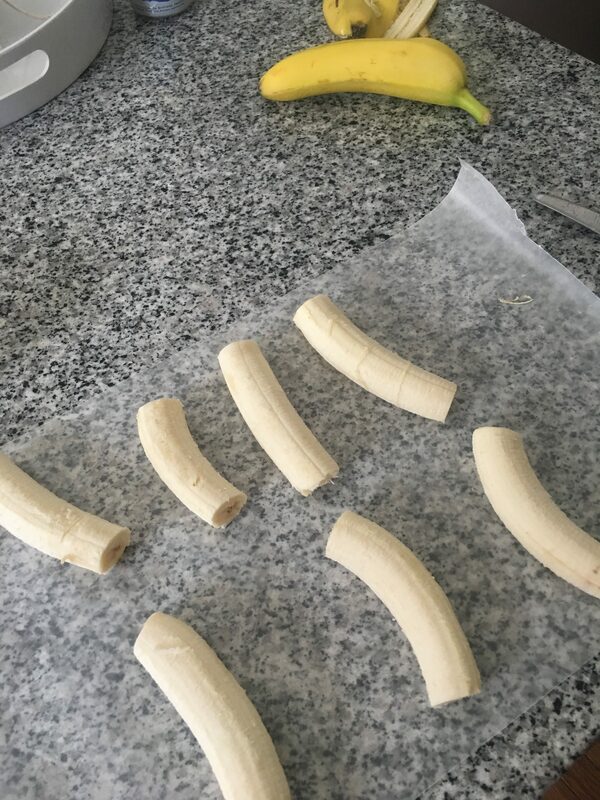 Start by peeling the bananas and cutting off the ends. 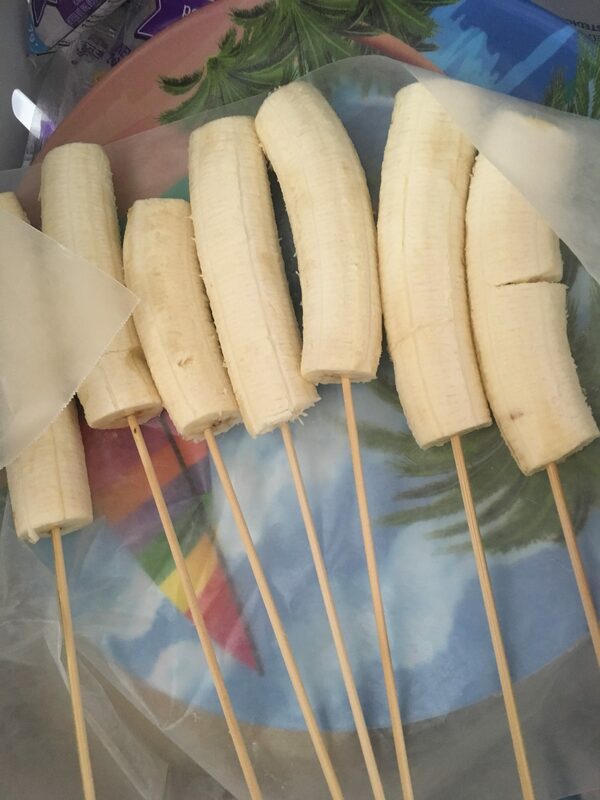 The put the bananas on sticks and lay them on wax paper. Foil works okay, too. Heat up some dark chocolate in a mug in the microwave for about one minute, then stir. Then reheat for 30 seconds and stir and repeat until the chocolate is a good dipping consistency. 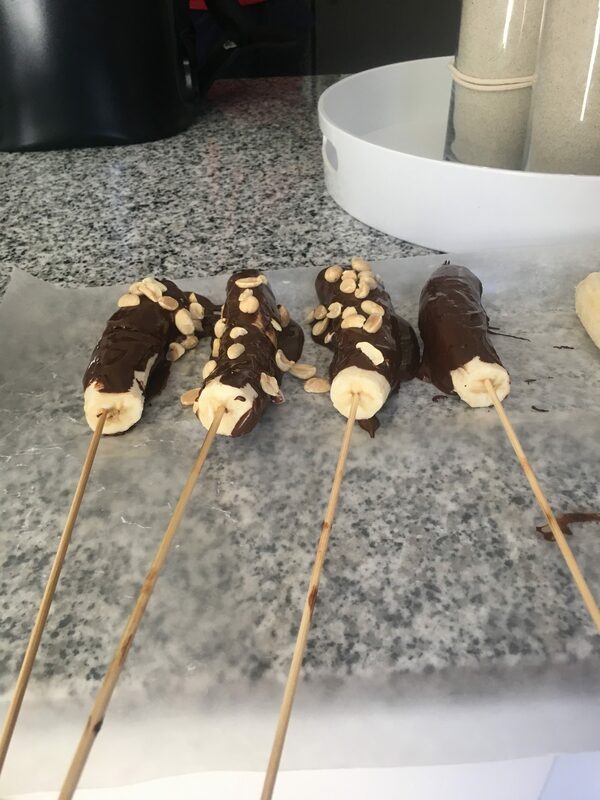 Dip the bananas in the chocolate and then sprinkle some peanuts and sprinkles on if you’d like before the chocolate solidifies so they stick. Serve them room temperature or place them in the freezer for an hour or so for a cold, frozen treat. 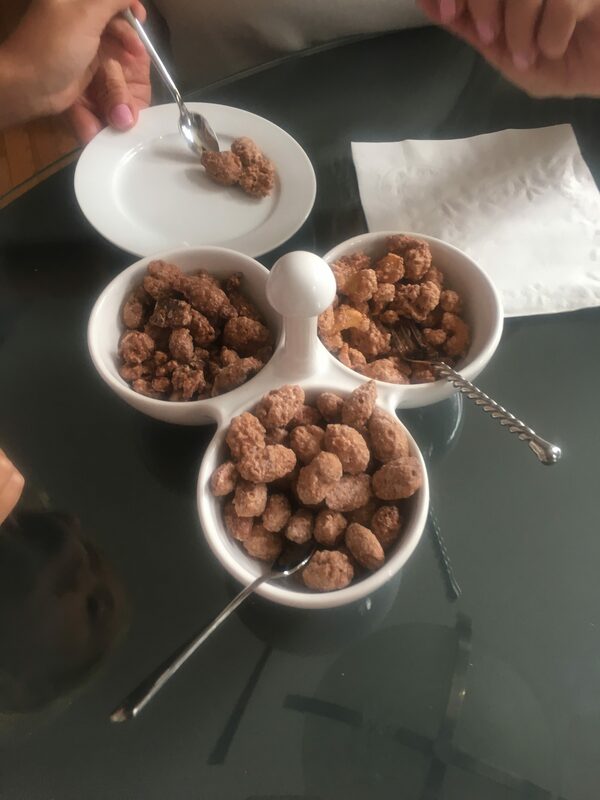 We also served ours with cinnamon and sugar pecans and walnuts.